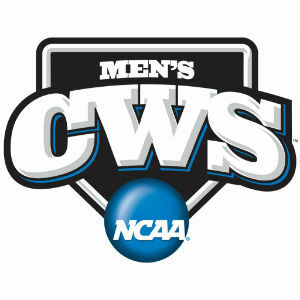 ESPN will air all three games of the CWS Finals, while the broadcasts also will be streamed online via the WatchESPN app. wina 1070-AM and WINA.com will carry the live radio broadcast, as will several stations along the VirginiaSports Radio Network. Check your local listings for availability. UVA and Vanderbilt can both put runs on the board. Vandy is scoring 5.64 runs per game in 2014; UVA scores 5.47 runs per game. But it’s in run prevention that both excel. Virginia has a 2.21 team ERA and a .982 team fielding percentage, giving up 147 earned runs and 25 unearned runs in 66 games in 2014, an average all told of 2.61 runs per game. Vanderbilt has a 2.79 team ERAand a .975 team fielding percentage, giving up 190 earned runs and 45 unearned runs in 69 games, an average of 3.41 runs per game. Virginia has stood out in the 2014 College World Series for its ability to keep its opponents off the scoreboard, giving up just four runs in its three CWS wins, including a pair of one-run games against Vandy’s SEC rival Ole Miss. Vanderbilt has given up 14 runs in its Omaha run and is in the CWS Finals primarily because its offense has done just enough, scoring five runs per game in its three College World Series wins.